Imagine your favorite people, places and things presented as Fine Art. The Portrait, Fine Art, Portfolio and Commissioned Photography Services we offer are about exquisitely capturing the people, places and things you love and the details of how you live or work that tells your story and presenting it beautifully. My facination with photography is focused on capturing a moment in time I experienced forever and turning it into fine art. I love to work with the public as well a Design, Creative and Decorating Professionals. 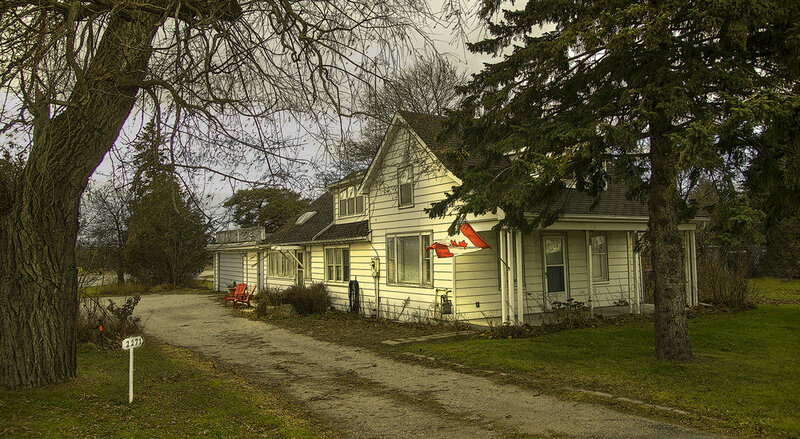 My Studio & Gallery is a 100 year old farm house that is a great place to see my work and a comfortable and unique environment for portrait photography. The original “reality” based images I create can help give your business a powerful new tool that will help your web site, media, presentation, digital marketing and corporate branding strategies stand out visually from the herd using stock images or give you the opportunity to commission visual art meaningful to you and your business. My large scale, Toronto centric historic and original fine art prints are an impressive way to proudly display your appreciation for the beauty, history and uniqueness of Toronto and its surrounding areas in your Board Room, Restaurant or Offices. My local, original fine art prints are also a great corporate gift or incentive for fundraising. Whether your interest is personal, commissioned or commercial photography I invite you to take the time to review my Toronto centric Portfolios of both my Original and Historic Fine Art Collections for sale here and book a telephone consultation with me or a time to visit my Studio & Gallery. If you choose to become a client I believe you and those participating will know I love what I do and discover that the more personal service, inclusive creative experience, low stress event coverage and the truly memorable fine art prints you can commission truly make us an excellent partner to bring your vision to “reality”. Bathurst Graffiti #1 - 2016, part of a two image set - see Collections for my Original Work featuring Toronto centric images as high resolution, signed and numbered fine art prints printed on fine art paper, metallic paper, canvas, metal, wood, glass, and acrylic in sizes ranging to 60" x 40" or call me to commission meaningful Art for your walls featuring your favorite views, places, people, pets, hang outs, things, etc.,. My Studio & Gallery is a 100 year old farmhouse just off the 404 that features my Original and Historic Fine Art Prints throughout the space as well an environment featuring neon lighting, movie lighting, mid century modern themed rooms, velvet backdrops and memorabilia that makes the space an excellent place to shoot and comfortable for participants. Collaboration - get what you want. One of the things that makes my photography sessions fun and a great experience for all is that I take a collaborative approach to photography and welcome my Client's input. That means you can be your own Creative Director for part of your shoot - or you can leave it all to me. I can make you look like a Rock Star and your kids look like Angels. We are very proud of the more personal level of service we provide for our Business and Commercial Clients. I am an ex Managing Partner of an Agency and I welcome inquiries from Decorators, Design Professionals, Creative Professionals and Agencies who want to leverage my original commissioned photography to realize their vision. Check out our Photographic Services here and in person. We offer a unique selection of Personal and Business Photography Services including my signature "Me & Me" Studio Portraits that allow you to reveal multiple versions of you captured in one stunning print forever. This image was made famous on "Cheers" but is actually a superb, hand colored engraved print I own from a Spanish book warning Catholics about London's infamous Pleasure Gardens (Cremorne). Love the disapproving cupid, scandalous woman's legs with drunken rich man under table all enjoying the Dom Perignon - while a man takes notes. Check out Collections for My Work and a small selection of super high resolution Historic Collections I have created featuring Toronto and Ontario centric Maps, Art and Drawings showing how this area looked before the 20th Century - available in sizes ranging from extra large 60" x 40" sized prints on wood, metal or acrylic or paper to my 17" x 22" signed, fine art paper prints starting at $125. Stop thinking about it, smile. Consultations are FREE. Clients get perks, prospects not so much.